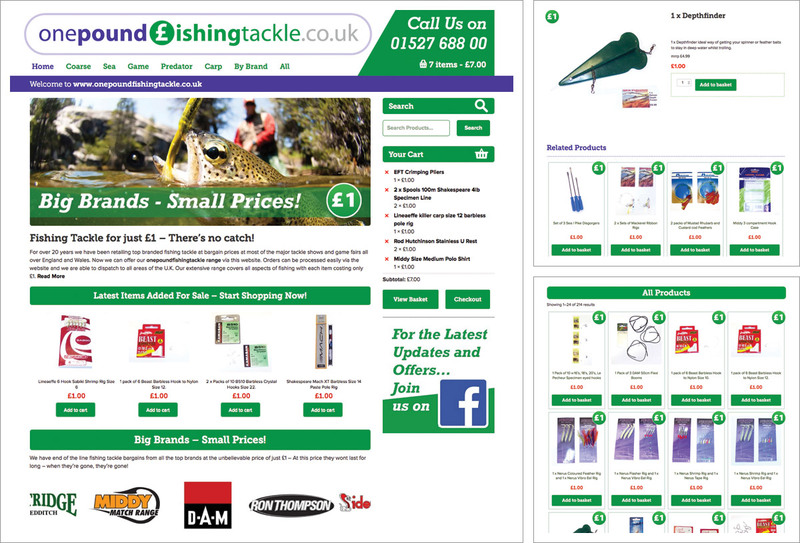 A new fully responsive mobile friendly e-commerce shop for onepoundfishingtackle selling bargain fishing tackle products for just a pound. The website has been developed in content management system WordPress with shop functionality delivered by Woocommerce. Payments are securely handled via PayPal. The website owners have complete control over administration in the shop and other areas of the site which means they can edit text and images and add, update, change prices etc for products in the shop too. Pedleyonline also worked with the business owners on logo design, social media set up and input into their social media marketing strategy along with the set up, design and administration of a Mail Chimp e-mail marketing campaign.